3-Shelf Folding Bookcase Just $35.99! Down From $118! PLUS FREE Shipping! You are here: Home / Great Deals / Amazon Deals / 3-Shelf Folding Bookcase Just $35.99! Down From $118! PLUS FREE Shipping! 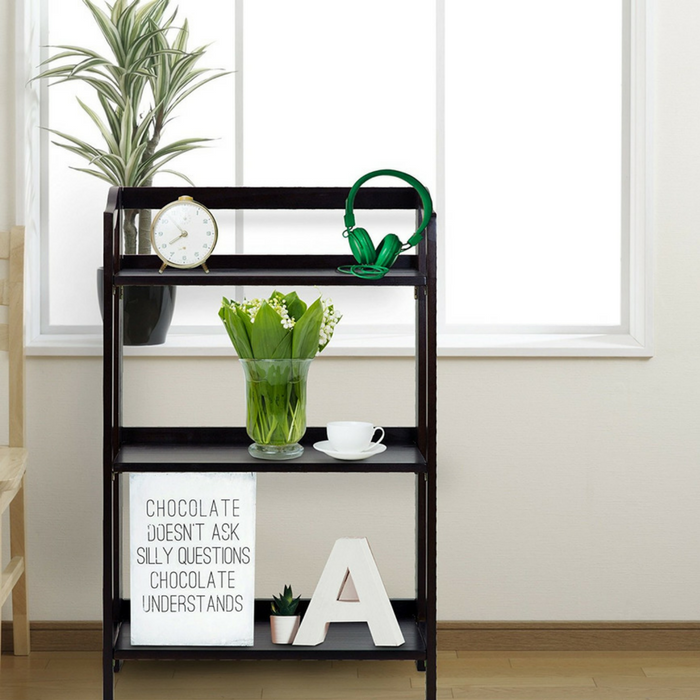 This 3-Shelf Folding Bookcase is now offered at Amazon for only $35.99 down from $118 PLUS FREE shipping! Regal curves and quaint simplicity define the transitional style of the Stratford 3-Shelf Folding Bookcase. Each shelf is spaced with ample room for your storage needs and decor. Foldable design means storage, transportation, and rearrangement are a breeze. Constructed from solid wood for lasting beauty.